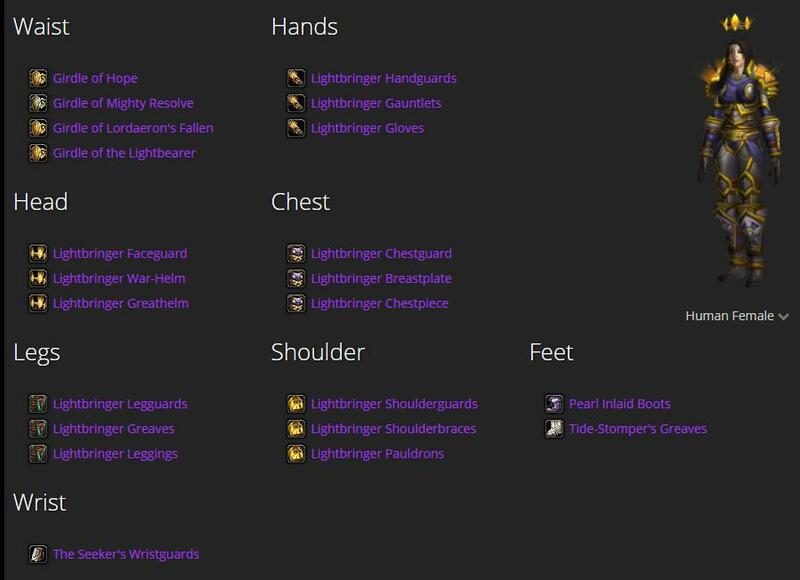 The Lightbringer Armor Head, Hands, Legs, Shoulders, and Chest items are sold by Tydormu in the Battle for Mount Hyjal instance and the Wrist, Waist, and Feet items are sold by Theremis, present on a boat in the Sun's Reach Harbor of the Isle of Quel'Danas. 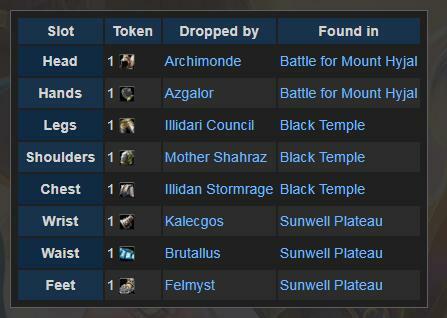 They are "purchased" with Tokens of the Forgotten Conqueror. 2 pieces: Increases the damage of Avenger's Shield by 15%. Paladins have 3 Tier 6 sets: a tanking set,WoW a healing set,WoW and a DPS set. These sets look exactly the same. Each set consists of 8 pieces that are exchanged for tokens that drop from bosses in the final tier of Outland raids (Hyjal Summit, Black Temple, and Sunwell Plateau). 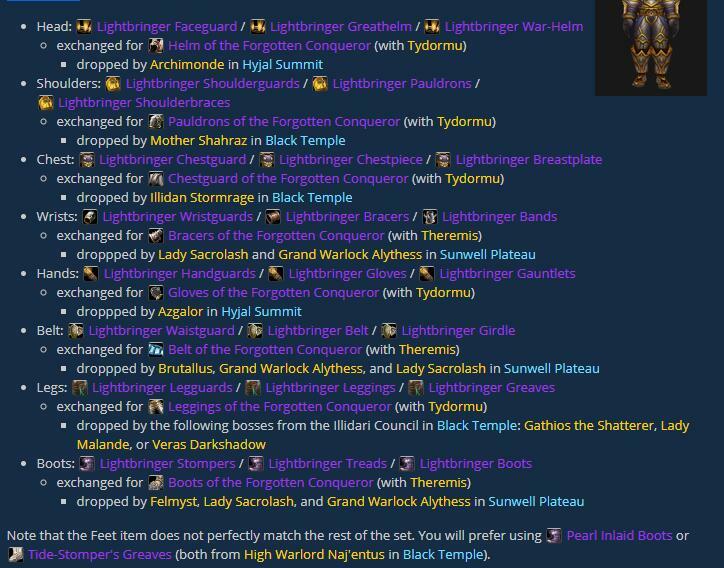 The Head, Shoulders, Chest, Hands, and Legs pieces are exchanged by Tydormu in the Hyjal Summitraid instance, while the Wrist, Waist, and Feet pieces are exchanged by Theremis on the Isle of Quel'Danas.